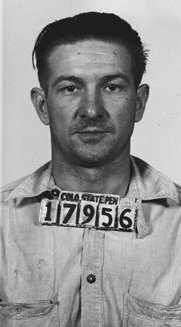 On this date in 1934, “the most successful and painless [execution] ever conducted at the penitentiary” claimed the life of William Cody Kelley in Colorado’s brand-new gas chamber. Kelley was condemned for bludgeoning pig-rancher Russell Browning to death with a pipe, and his otherwise forgettable case was a milestone for a reason besides the method: Kelley was the first executed in the state of Colorado without review by the state supreme court. The reason? Dead broke, Kelley couldn’t scrape together $200 required for the appeal. Journalist Lorena Hickok heard of Kelley’s plight and was about to front the cash when she was talked off it, on the grounds that her sticking up for a condemned murderer might throw a politically difficult light on her close friend Eleanor Roosevelt. Hickok swallowed her principles but a later letter to the First Lady — the two had a voluminous correspondence; they may well have had a romantic relationship, too — drips with Hickok’s regret. The thing has nearly driven me crazy. How can you have any faith or hope in us if we do things like that in this supposedly enlightened age? … I feel as though we were living in the Dark Ages, and I loathe myself for not having more courage and trying to stop it, no matter what the consequences were. You would have done it. Well — I guess I’d better not think about it any more. While an inconceivable fortune stood between Kelley and his life, the execution materiel — a dozen acid capsules — set Colorado back just 90 cents. Such a pittance bought a killing method so reliable that “there was no cutting out of the victim’s heart, as was done after executions under the State’s old system of hanging, to make sure of death,” a gross if well–founded precaution. Kelley’s partner in the murder, Lloyd Frady, testified against Kelley (both men claimed the other had committed the murder), and had his own death sentence commuted for his trouble. Frady was eventually released in 1949, but not before he made his fortune behind prison walls selling artsy “curio goods”. Those without the capital, as they say, get the punishment — and in this case, vice versa. Colorado used the gas chamber for all its executions until 1967.